Mark Beazley Road-test two stomp boxes from the Markbass stable of specialist bass equipment. 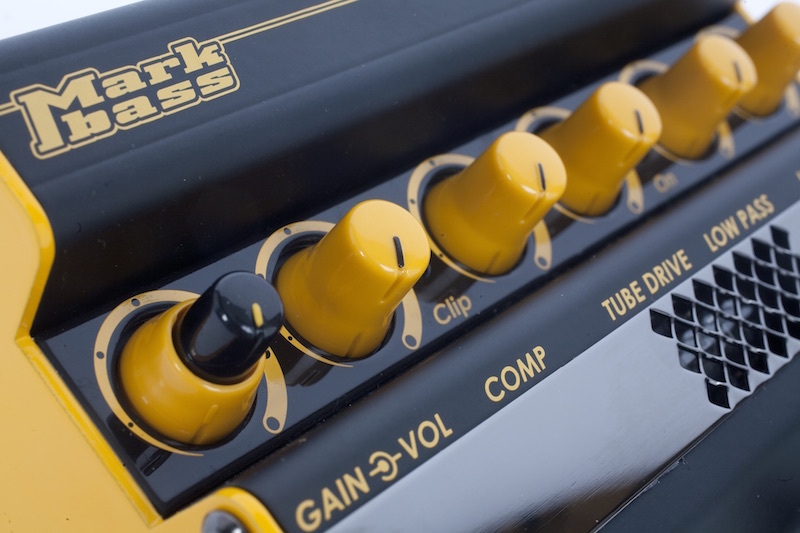 Markbass continue to spearhead a new generation of amp technology, with the Italian bass specialist’s current range boasting a host of innovative designs. These chunky black and yellow effects pedals utilise ‘true bypass’ circuitry, so when the pedal is switched off, your signal is sent straight to the output jack without any processing. With the Riverbero you can download free software from the Markbass website to edit and save six available reverb patches. All you need to do is register and supply the serial number of your pedal. The Distorsore’s selection of controls and the vacuum tube that’s fitted in the middle of the pedal also bodes well. The Riverbero is a stereo effect with left and right outputs and features six presets that can be toggled up or down by the two footswitches either side of the central true bypass switch. The level values of the time, colour and wet controls are clearly shown in the LED display window, so each time you adjust one of these controls, its name and value, from 1 to 63, appear in the window. 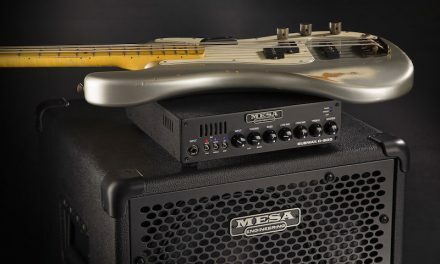 The subtle tones on offer here add that bit of sparkle to your bass sound. The controls work superbly, and the pedal gives out an extremely musical reverb without a hint of digital brittleness. If you haven’t tried using reverb on your bass before, this pedal would be a great place to start. Rear Panel: Input: 1x ¼” jack mono, Output: 2x ¼” jack mono (mono L, stereo L+R), USB control (link to PC). 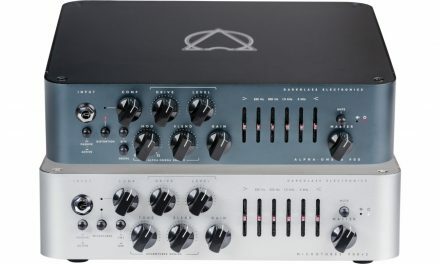 The suitably Italian-titled Distorsore features a comprehensive control set including a stacked dual-operation rotary control for gain and volume, plus comp, tube drive, low-pass, high-pass and mix knobs. 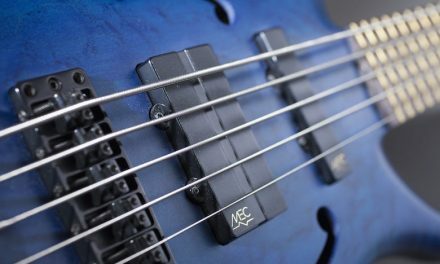 The Distorsore suffers from a common issue with distortion pedals – when you switch it on there’s a perceived loss of level in your sound as the bass frequencies are ducked and the compressor, or clip, takes effect. This can be slightly remedied by use of the two best features of the unit, the low- and high-pass controls, which allow nice control of how much low and top end can be dialled in and out of the final output. If you’re looking for something that will crush your tone, without too much subtlety, this could be for you. Rear Panel:Input: 1x ¼” jack mono, Output: 1x ¼” jack mono. Absolute top marks for putting the Riverbero on the market – it just sings with beautifully musical reverb sounds. The Distorsore didn’t live up to our high expectations. 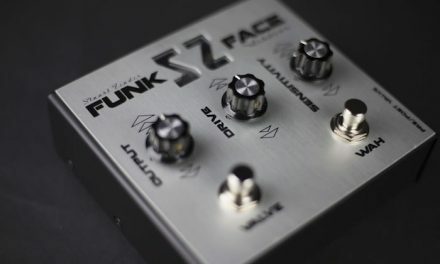 Perhaps gain and drive controls would have been enough for this pedal to be a success, as it seems that when Markbass keep it simple their products really come alive.